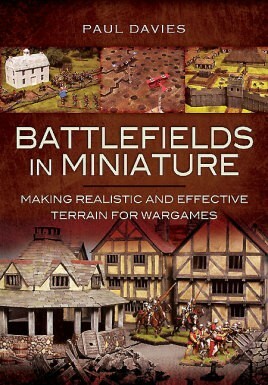 "In this 287-page hardback book, wargames terrain modeler Paul Davies, author of numerous magazine articles on the subject, takes the reader through the process of creating a visually appealing yet practical terrain over which miniature battles may be fought. The techniques involved in the making of a basic landscape are explained, such as terrain cloths and tiles, custom or sculpted terrain, and this is followed by a series of projects showing how this can be adapted to suit different periods and/or geographic locations. There are then numerous sections on adding rivers and ponds, islands cliffs and hills, trees, walls, fences and screens, hedges, gates, cultivated fields, roads, bridges, defenses and buildings. 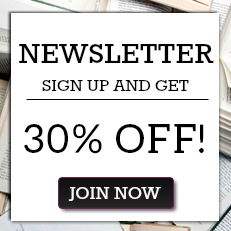 All these projects have step-by-step instructions and are illustrated with over 400 specially taken color photos, taking the reader through the various stages of construction to the finished model. There is no doubt that this is a practical and useful guide, both to the specific items which are featured, but also in general construction terms. The book should be well received by wargamers and diorama builders alike. Recommended."